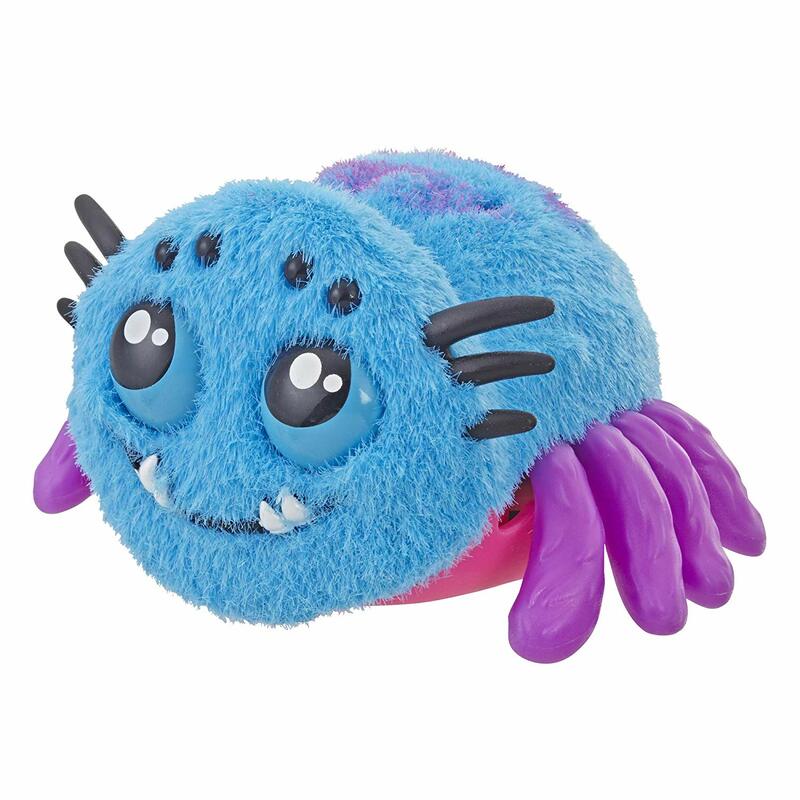 Today we're intrigued, and horrified by, voice activated "Yellies" spider pets from Hasbro. 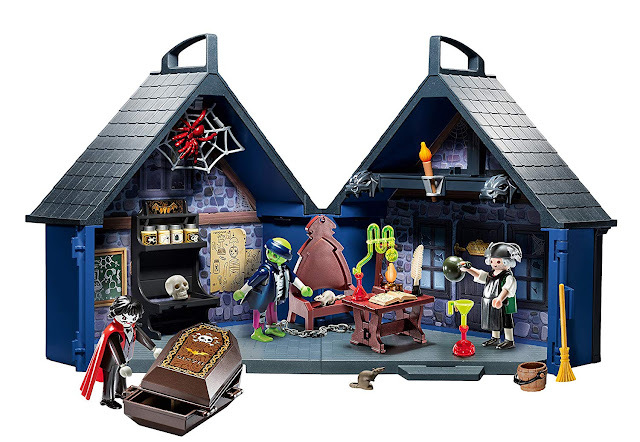 We suspect our nieces and nephews would love to find these cutely spooky toys under their Christmas tree this year. If you sing, talk, yell, or clap, the spiders' eyes light up and they begin to move towards the sound. The louder the noises you make (such as, in my case, frantic screaming), the faster the spiders move towards you. Yikes! 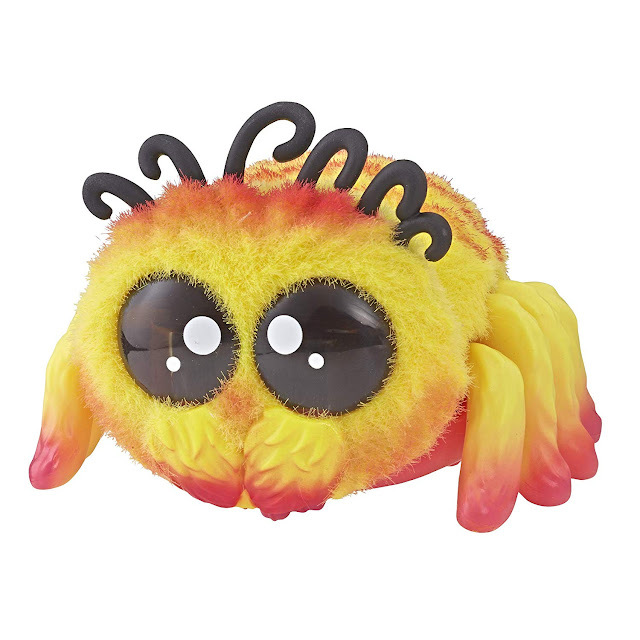 The Yellies "Flufferpuff" spider features orange fur and green legs. "Bo Dangles" has three large eyes. 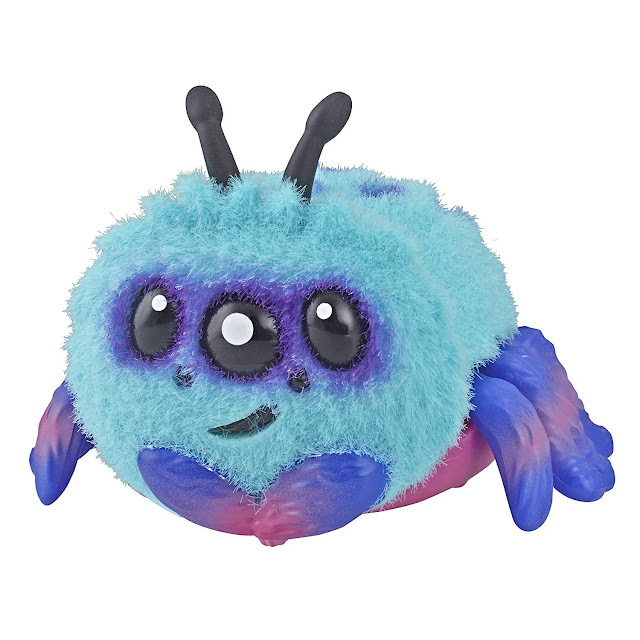 (Never mind the fact spiders have many, many more eyes than that in actuality). 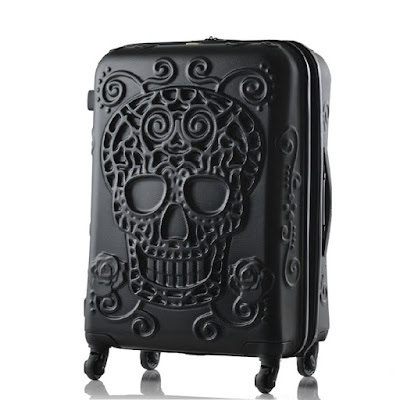 Look at the oversize (and dare I say, adorable?) 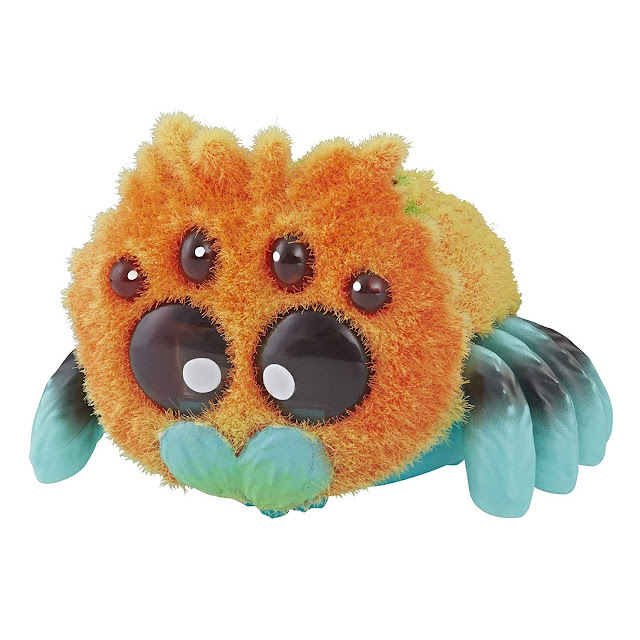 eyes on "Peeks," a yellow and orange voice activated spider pet. "Skadoodle", in blue, actually looks rather sweet. She might win me over. Or does she look a bit bloodthirsty? 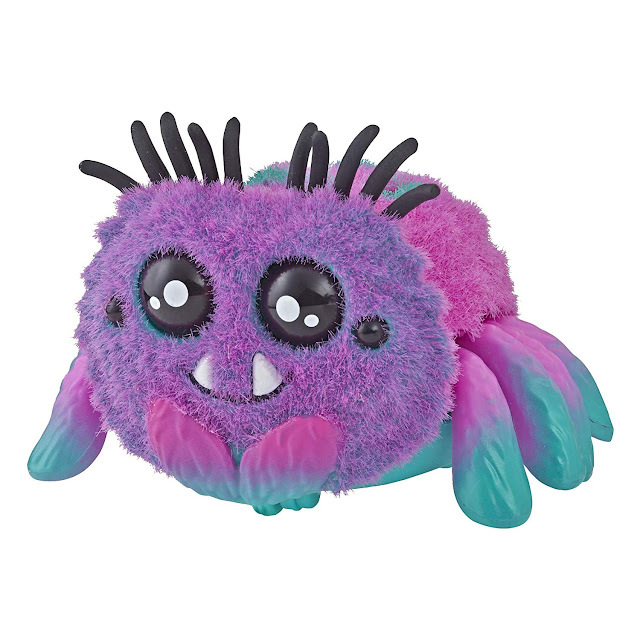 And perhaps I might not mind quite so much if this pink and purple "Toofy" voice activated spider pet was chasing me down. 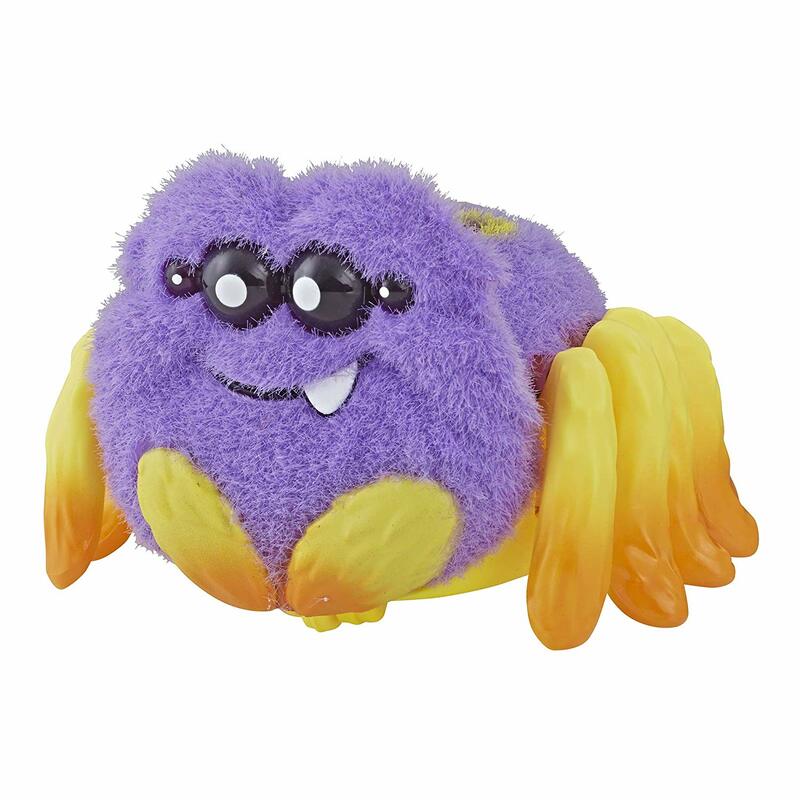 This purple and yellow spider pet is called "Harry Scoots." 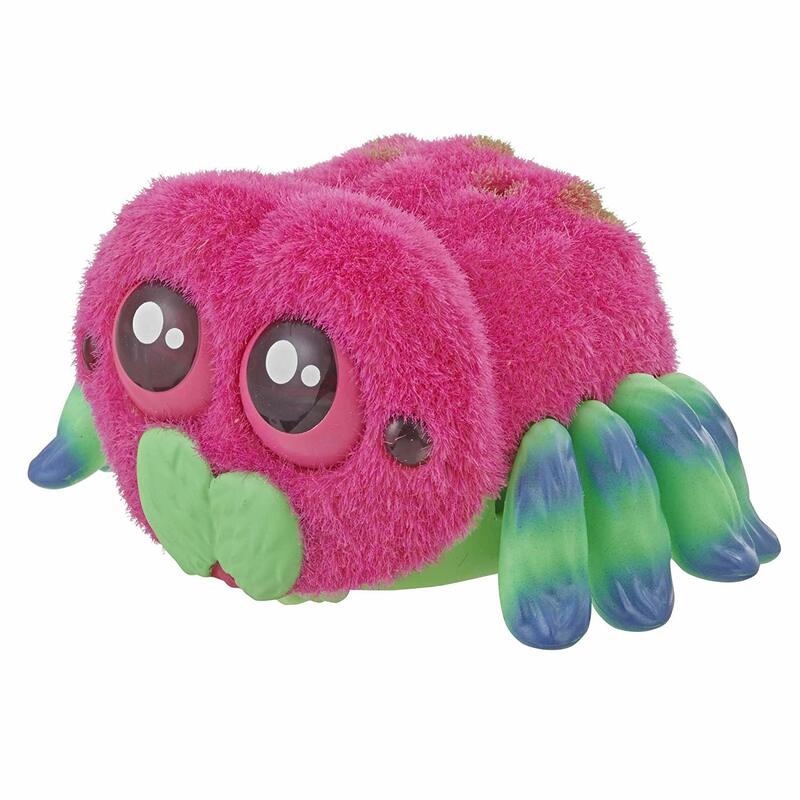 Introducing "Sammie," a pink and green spider pet. 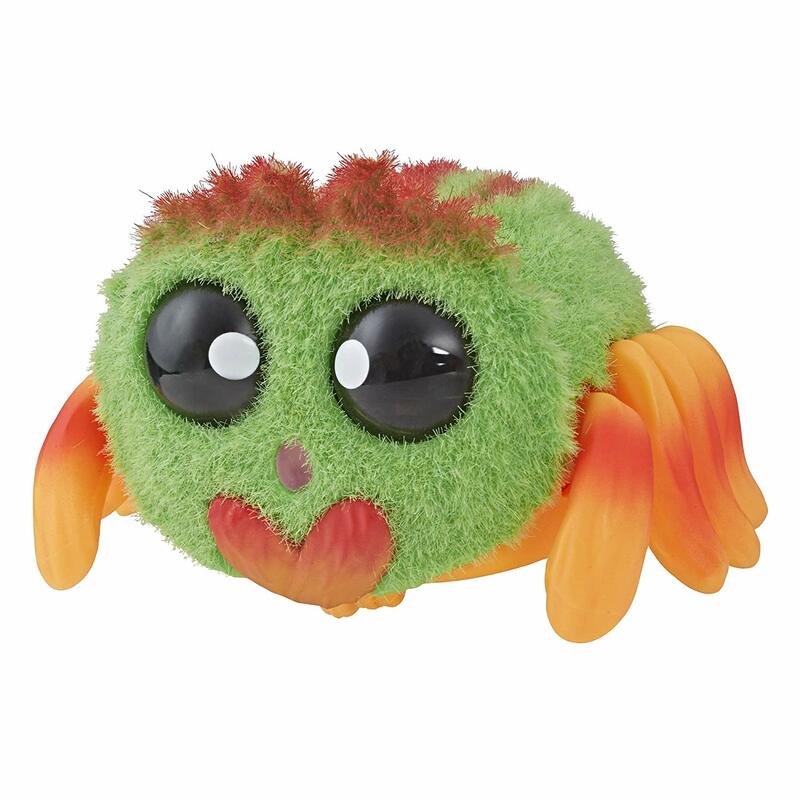 Our final spider pet is "Klutzers," in green, orange and yellow. Note that these spider pet toys are actually quite small in real life - handheld. You can also shop for Hasbro's Yellies toys on eBay.